In August of 2016, the Egyptian Parliament approved a law for settling tax disputes between civilians and the tax authority. The law, which is considered the last option for an amicable reconciliation with the tax authority, later took effect on September 28, 2016. The aim of the law was to resolve a backlog of more than 6,000 tax disputes in court worth approximately EGP 60 billion. This resolution was based on pragmatic provisions that promised quicker, easier, and more efficient dispute resolution processes. Moreover, the law was meant to encourage the process of settling tax disputes, a move persuading foreign investors who fled after the 2011 uprising to return. The law was expected to yield additional revenue of EGP 10 to 15 billion during the 2016-2017 fiscal year. Tax revenues were expected to benefit as well from increased collection from existing taxes and improvements in tax administration. 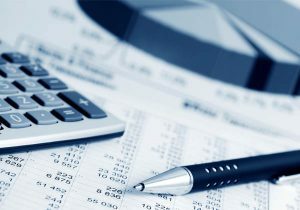 Tax disputes are normally lengthy procedures that utilize substantial time and money. The government was losing valuable resources over disputes that could easily be shortened by proficient experts. The new law outlined regulations to expedite prolonged tax disputes by resolving them through committees of independent experts, as opposed to courts. The law allows the committees to end disputes at any level in all types of taxes before courts of all degrees. These committees will consist of experts who are not affiliated with the tax authority; however, they will each also include a member from the judicial consultants and a technical member from the Egyptian Tax Authority. This law was said to be implemented for the period of one year. Deputy Minister for Tax Policies at the time, Amr El-Monayer had stated that the committees were to be handling disputes concerning various taxes, such as commercial and industrial profits tax, income tax, payroll or sales tax, and even disputes that may arise during the one-year implementation period of the newly revised Value Added Tax (VAT) law. He added that in order to alleviate the load from the tax community, he agreed to allow some committees to resolve disputes within the Federation of Egyptian Industries (FEI), the Federation of Egyptian Chambers of Commerce (FECOC), the Egyptian Businessmen Association (EBA), and the Federation of Egyptian Banks. In March 2017, at the end of the period of implementation of the new law, the Ministry of Finance released a statement announcing that the tax law had added LE 15.6 billion to the Egyptian treasury. Furthermore, the committees had resolved more than 4500 disputes between the Public Tax Authority and taxpayers, in accordance with the amendments to the Tax Dispute Resolution Law No. 79 of 2016. The resolutions led to settlement agreements and agreements upon final taxes estimated at EGP 1.5 billion. After large success the law was renewed for another year. The Finance Ministry decided to extend the mandate of the Tax Dispute Resolution Act for another two years in March 2018. However, three months after its extension, the Ministry decided to significantly reduce the mandate from the two year period to a meager four months. This decision came with the slow income of new disputes as well as the Ministry’s desire to speed up the resolution of approximately 150,000 tax disputes currently on file. On July 25th2018, the parliamentary signed off on the reduction of the mandate. The Act will now expire on December 31st, 2018. By cutting down the period, Finance Minister Mohamed Maait also aims to encourage serious financiers to take quicker action before the termination of the mandate. The objective of this decision, reflecting the initial goal of the Resolution Act, is to ultimately waste less of the Ministry’s financial and temporal resources.